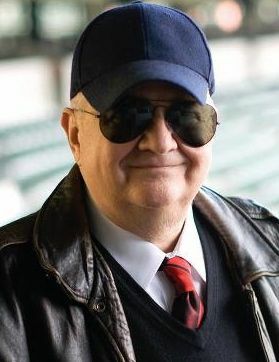 Tom Clancy, who has died aged 66, made a huge impact with his first novels in the 1980s – “The Hunt For Red October”, “Patriot Games” and “Clear and Present Danger” (pictured), which in turn became major motion pictures. In 1989, I interviewed Clancy for a national Miami-based magazine called Inside Books that folded before it could print the story. The Los Angeles Herald Examiner ran it after I was hired as Arts & Entertainment Editor. Clancy told me planned to quit and he shared his views on the hard work of writing, his “insider” knowledge, the war on drugs and Oliver North. LOS ANGELES (1989) – Tom Clancy, America’s best-selling supertech thriller write, has just about had it with writing and he goes so far as to call his craft a form of mental illness. The 41-year-old former insurance salesman says he’s going to put his high-tech wizardry to work as a consultant to the National Space Council in the executive office of the president. 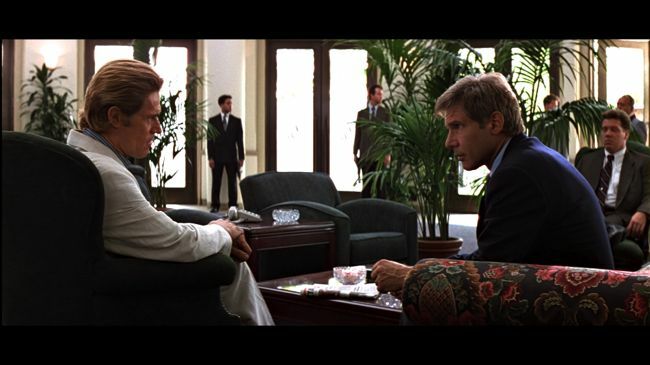 Fictional CIA analyst Jack Ryan is the hero of three of Clancy’s four bestsellers in the past five years: “The Hunt For Red October”, “Patriot Games” and “The Cardinal of the Kremlin” (“Red Storm Rising” is the fourth). Ryan is also featured in Clancy’s fifth novel – “Clear and Present Danger”, about a US military mission against the Colombian drug cartel – which is due out on Aug. 17. Ryan will be portrayed by Alec Baldwin in the movie version of “The Hunt For Red October” (part of an all-star cast including Sean Connery, James Earl Jones, Richard Jordan and Sam Neill) due for release next spring. Clancy says he doesn’t yet know the details of his Space Council job. He just knows he has to get away from writing, “Writing is a self-induced form of mental illness,” he says on the phone from his home in Maryland. “Think about it, it really is. When you write fiction, you create an imaginary world filled with imaginary people, perceive the imaginary world through their eyes and their minds, and communicate what you see to other people, and do so very convincingly. Clancy’s idol, British thriller writer Frederick Forsyth – “the best in the business,” Clancy says – also made headlines when he announced that he was quitting after his first three hit books. Clancy is also hedging his bets. He speaks of wanting to write an historical novel “someday” but he has no current book contract. With the millions from his previous books, he has purchased a book-lined new home in Prince Frederick, Md, where he lives with his wide, Wanda, and their four children. At least, with “Clear and Present Danger”, he is going out with a bang. It’s vintage Clancy with a plot taken from today’s headlines. A crack UD Army team of night fighters is let loose in the Colombian jungle to take on the drug cartel. When drug lords assassinate the head of the FBI in retaliation, a renegade sernio CIA man’s dirty tricks leave the soldiers abandoned. Enter Jack Ryan, a mysterious espionage agent named Clark, a KGB-trained mercenary, Southern cops, the Coast Guard, fighter pilots and all the sophisticated gizmos and military hardware Clancy fans have come to expect. Not even in the sense that North was convicted of breaking laws? “No, no, no,” Clancy insists. He says he’s not exactly sure what North was convicted of, although he agrees: “Co. North did things he should not have done.” However, he also declares, “I am delighted that the federal court in Washington decided what he did was not worthy of imprisonment. And any parallel between my book and that whole affair would be an invidious comparison. Clancy thinks there is something for the government to learn from his book, though. He believes that to send the military to deal with drug lords is a good idea and would be supported by the American people. As long as there were strict controls. “It is a good idea if, first, there is a political consensus that this is something that must be done. Second, if possible, the American people should be made aware of it. Third, and probably most important of all,” he says, “if the military is to be involved in this effort, it must be given a simple, understandable and coherent mission statement. Clancy reads a lot. Although he had a teenage fascination for ancient Egypt, and has renewed it recently, he says there was never one book that captivated him when he was growing up. It is reading, he says, that’s the secret source of all the supertech tactics and weapons systems he writes about in his books. Yes, he’s ridden in tanks and fired sophisticated arms, and, yes, he has friends in the military and the FBI, “The information they give me is about as controversial and secret as white milk,” he says. He is, though, as fed up with being asked about it as he is with writing itself. “I’ve managed to fool a lot of people,” he says, “and it’s decidedly uncomplimentary in terms of how I bring that about. The fact of the matter is, I do not have an inside source, nobody gives me this information. This entry was posted in Books, Film, Interviews and tagged Tom Clancy. Bookmark the permalink.